PERTUSSIS (Whooping Cough) Whooping cough, also known as pertussis, is an infection caused by a bacteria called Bordetella pertussis. Bordetella pertussis is a reportable communicable disease and all cases are to be reported to the local and state health departments. Whooping cough, also referred to as pertussis, is an infection caused by a bacteria called Bordetella pertussis. The symptoms associated with whooping cough progress in three distinct stages. During the first stage, called the catarrhal phase, the infected individual may develop a runny nose, teary eyes, a feeling of weakness and a low-grade fever. The first stage of infection lasts from several days to as long as several weeks. Symptoms during this stage are indistinguishable from a viral infection. The only reason to suspect whooping cough in an individual with these symptoms is if the individual was known to have been exposed to someone with documented whooping cough. episode of coughing may be so severe that the individual becomes flushed, the eyes appear to bulge, and the tongue protrudes. The cough usually dislodges thick mucus and often ends in with an episode of vomiting. The infected individual has about 15 to 30 paroxysms of coughing per day and these are usually more numerous at night. In some cases the coughing appears to be stimulated by external stimuli such as noises or cold air. Individuals with whooping cough (pertussis) do not have a fever and between coughing attacks appear normal. This stage of the infection lasts from four to six weeks, but may persist for as long as 10 weeks. Azithromax is also effective and is administered for five days. Other antibiotics, such as Amoxicillan and Ceclor are generally not as effective for whooping cough. Antibiotic therapy may reduce the severity and duration of the infection. Antibiotic therapy is most effective when started early in the infection, during the catarrhal phase or early in the paroxysmal phase. Individuals with whooping cough are contagious until they have received five full days of therapy with an effective antibiotic. How do I get whooping cough? 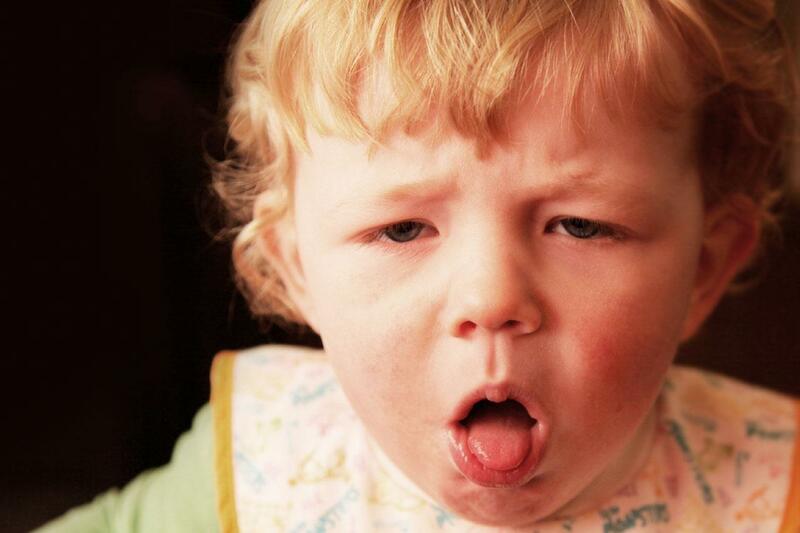 Pertussis is transferred from person to person by contact with infected material. This is usually via the tiny droplets that are expelled into the air during coughing. The greatest chance of spread of the infection is during the early catarrhal stage, before the paroxysmal stage begins. Adults as well as children can contract the infection, although it is usually milder in adults. The best way to prevent whooping cough is to be vaccinated with pertussis vaccine. However, even vaccinated individuals can develop pertussis infection. Vaccinated individuals who develop whooping cough frequently exhibit a much milder cough (resembling a typical asthma or allergy cough), no whooping, no vomiting, and sometimes only cough at night. If you are exposed to a patient with whooping cough, your doctor may treat you with an antibiotic to decrease your chance of developing the infection. Do I need to see a doctor if I think I have whooping cough? Yes. Based on your history of exposure to an infected patient, your symptoms, and the physical examination, your doctor may obtain a culture of your throat and start antibiotics if he/she thinks you have pertussis. If someone in the family has been diagnosed with whooping cough, the entire family should be treated with antibiotics as a preventive measure. Questions about whooping cough can be addressed by public health nurses at the Hamilton County Public Health by calling 513.946.7887.